Hey potential flower fairies! 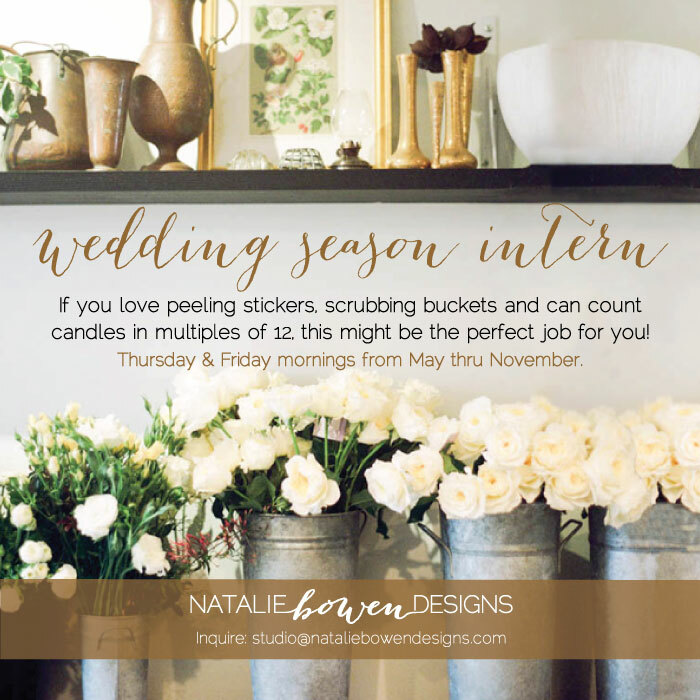 We are looking for a wedding season intern. It’s hard work but I promise there will be some fun times, too! Please contact us if you are interested.